Cloud breaches due to preventable misconfigurations have become a massive problem. 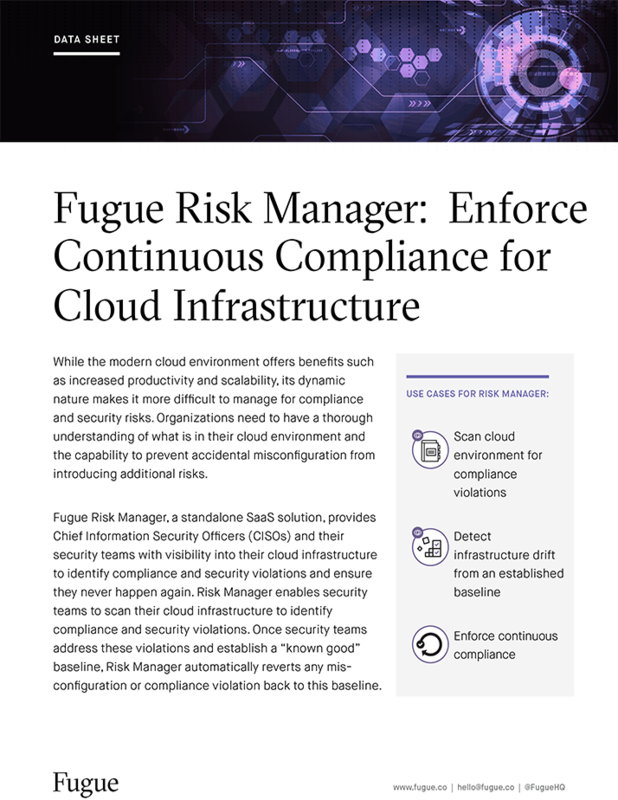 With more companies embracing the cloud, configuration drift become more likely and can expose organizations to unforeseen risks. The risks due to misconfigurations can be severe for organizations: steep regulatory fines, loss of customer data, and damage to your brand. 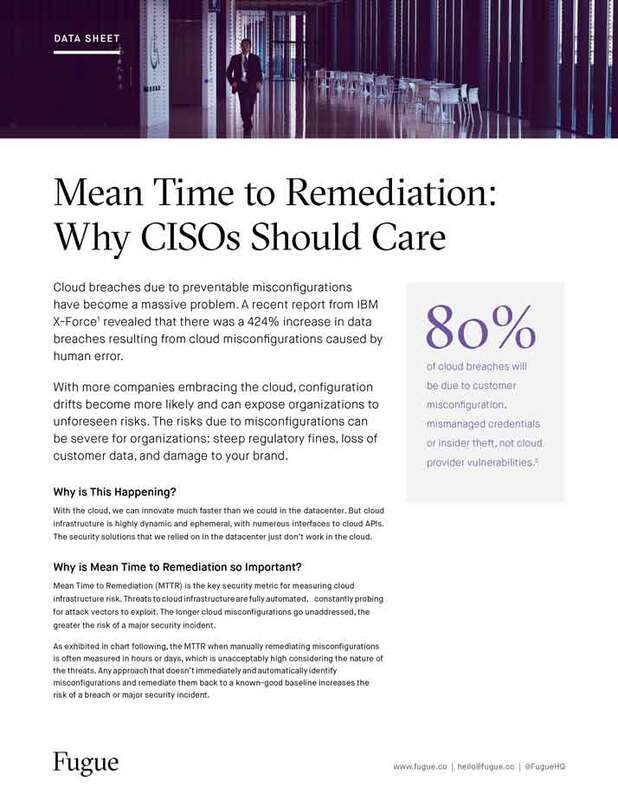 Mean Time to Remediation (MTTR) is the key security metric for measuring cloud infrastructure risk.